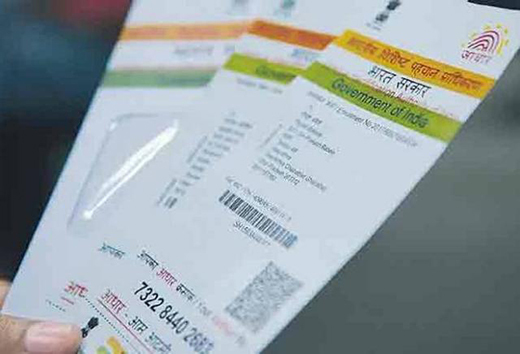 What happens if you don’t link your Aadhaar with LIC by December 31? New Delhi, Dec 01, 2017 : It has now become mandatory to link your insurance policies with Aadhaar, and the deadline to do so is December 31, 2017. The move has been welcomed by the insurers as it will reduce fraudulent claims and increase the speed of settlement. But the only problem is deadline. With less than two months to go many are wondering how to meet the deadline and what will happen if one fails to link the policy with the Aadhaar number? In the announcement, the IRDA referred to Central government’s gazette notification dated Ist June, 2017, wherein it notified the Prevention of Money-laundering (Maintenance of Records) Second Amendment Rules, 2017 and made Aadhaar and PAN/Form 60 mandatory for availing financial services including insurance and also for linking the existing policies with the same. In October, the Reserve Bank of India had clarified a reply made by it in response to a RTI query regarding Aadhaar linking with bank accounts. In a press release it said, "The Reserve Bank clarifies that, in applicable cases, linkage of Aadhaar number to bank account is mandatory under the Prevention of Money-laundering (Maintenance of Records) Second Amendment Rules, 2017 published in the Official Gazette on June 1, 2017. These Rules have statutory force and, as such, banks have to implement them without awaiting further instructions.